URec at the University of New Brunswick will host the fourth annual cyclethon in support of the Heart and Stroke Foundation of New Brunswick on Feb. 26, 2016. All are welcome to participate in any of the 13 classes being held throughout the day, no membership required. For the second year in a row, URec is offering cyclists the chance to earn up to 50 per cent off a four-month or one year URec membership. Participants will earn 10 per cent off membership price for each class they attend. 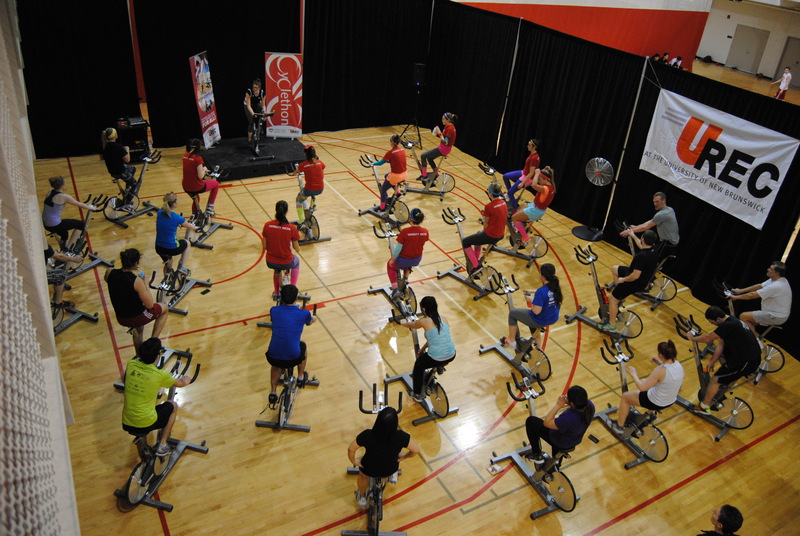 Last year, the URec cyclethon raised $1,344 for the Heart and Stroke Foundation of New Brunswick, this year they hope to increase that to $1,500. Classes will start at half past every hour beginning at 6:30 a.m. Signup for each class will open 30 minutes before the class begins and must be done in person. All classes are suitable for every participant level so get ready to cycle, sweat and support!